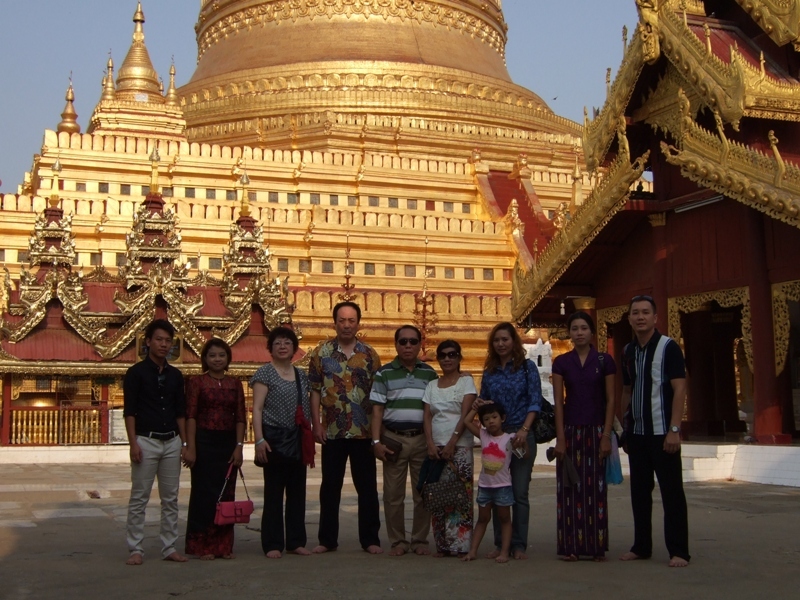 I visited Myanmar first time. 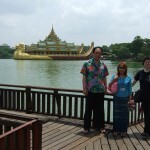 I was surprised at Yangon’s energy and traffic jam. 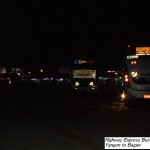 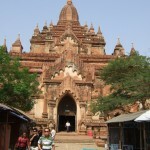 After the tournament we started for the tour of Bagan by Express Bus at PM19:00. 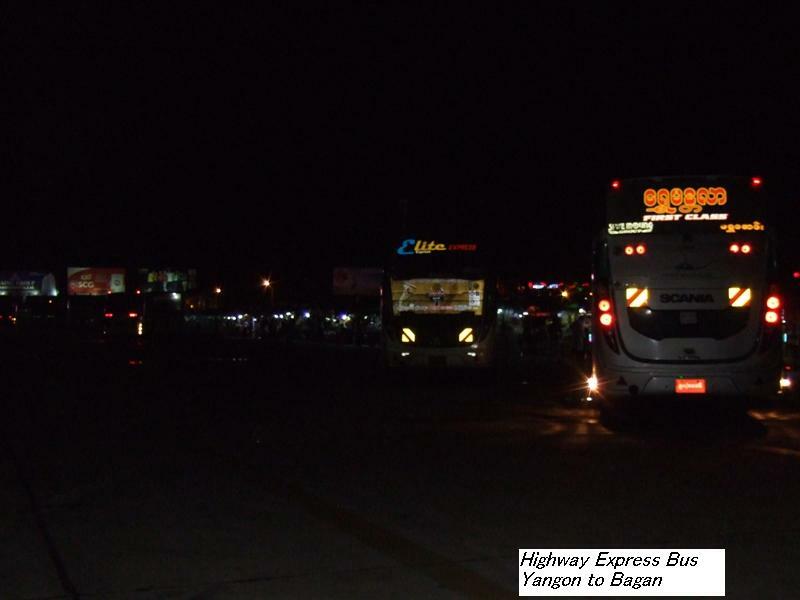 We had to change bus booking for traffic jam. 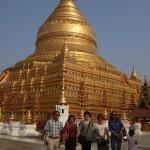 After the long drive we arrived at Bagan at AM5:00. 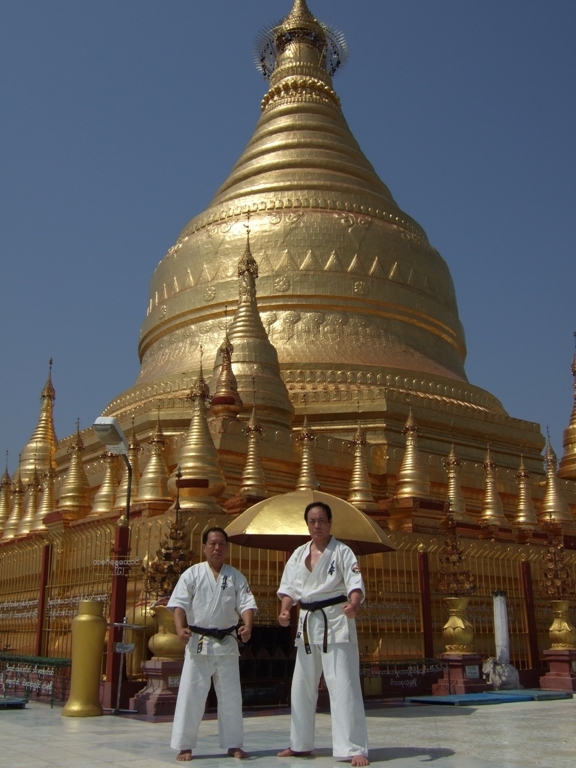 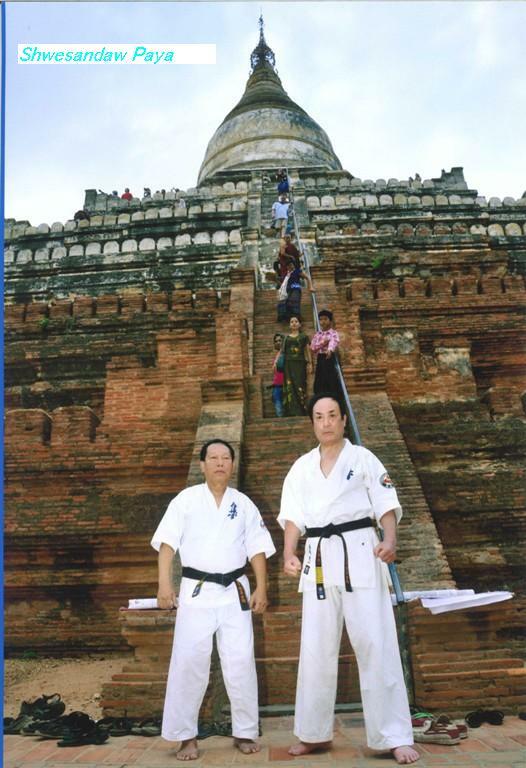 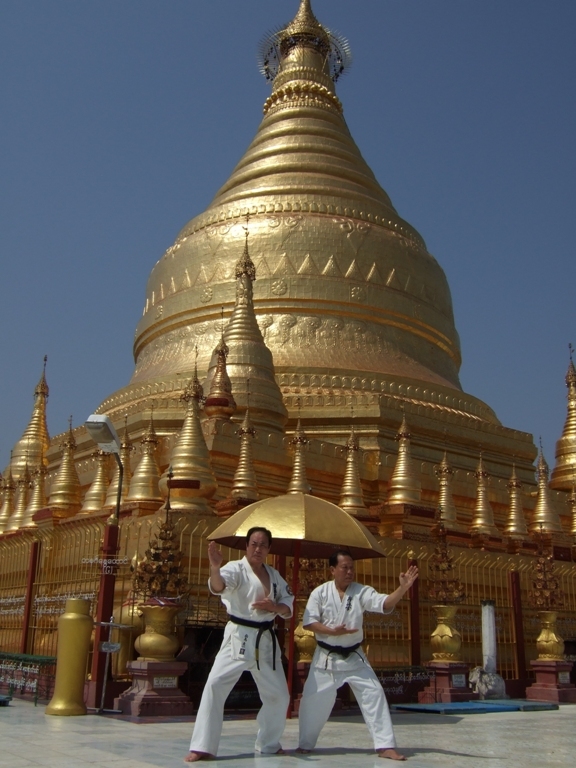 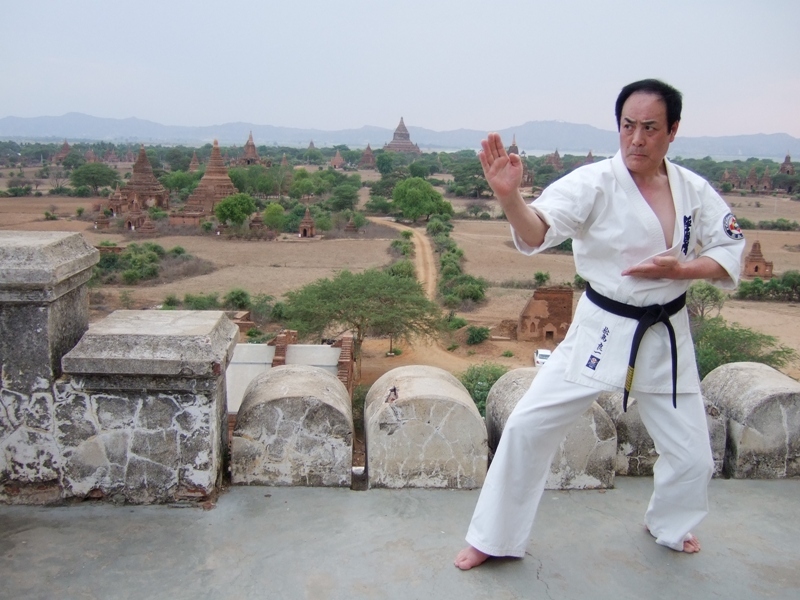 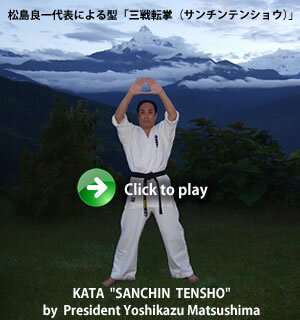 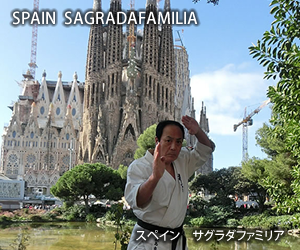 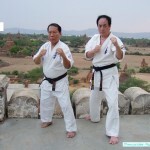 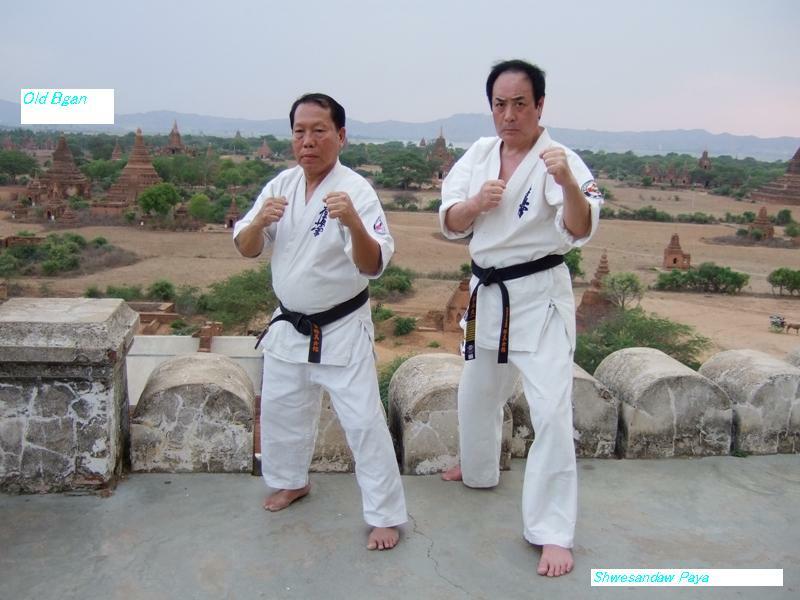 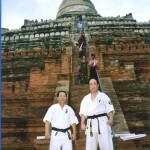 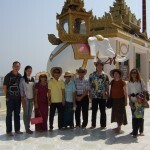 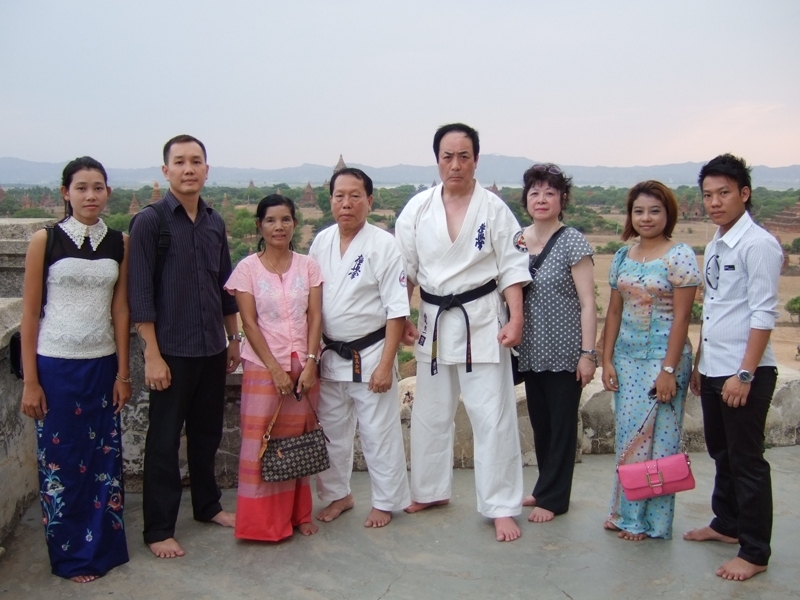 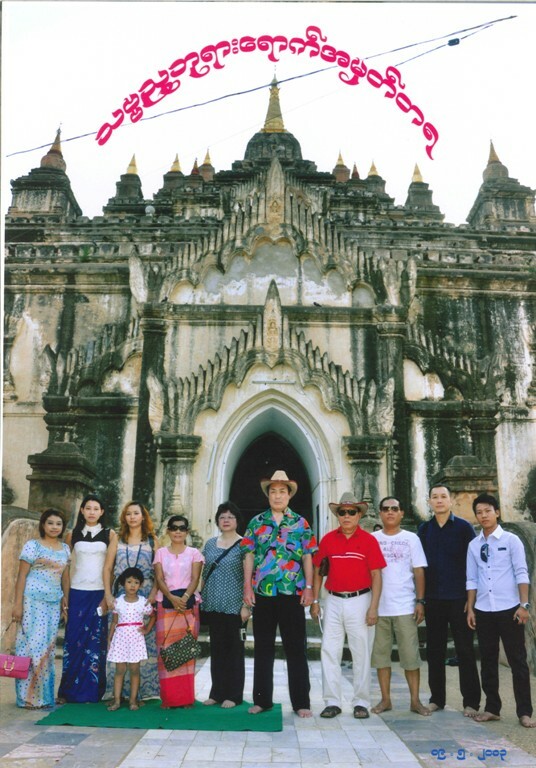 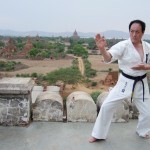 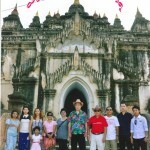 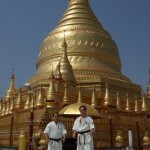 We are Sensei Myint’s family,his son’s family and instractors,totally 11 members. 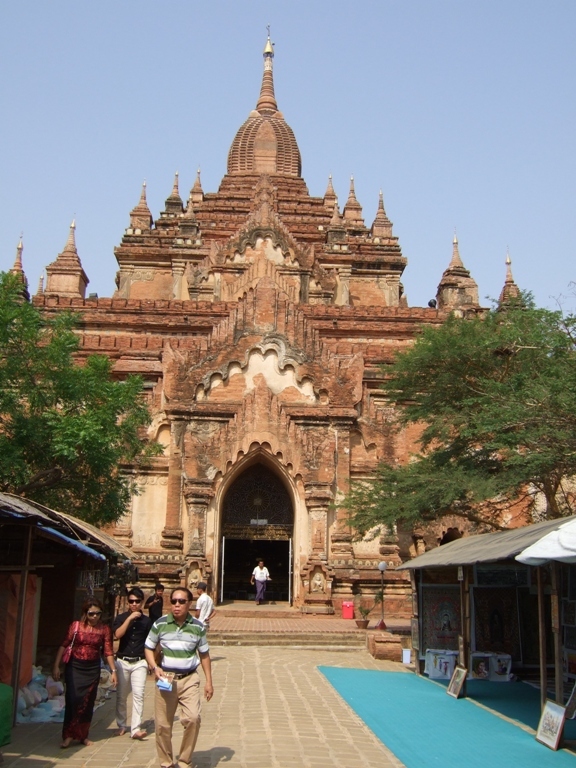 Bagan was such an ancient city that thrived from 1 to 13 century A.D. covering 1300 years. 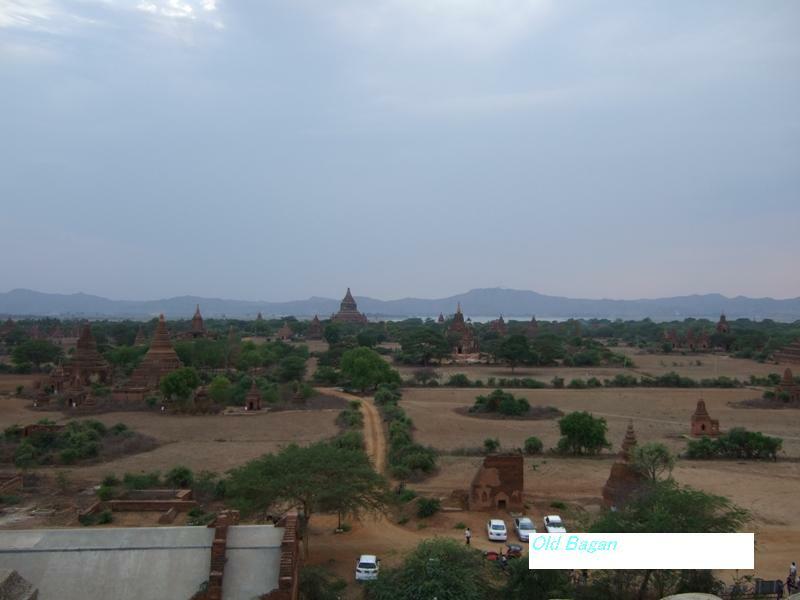 Bagan area encompassed is stretch of 20 square miles about 4440 ancient monuments and buildings were situated in this area. 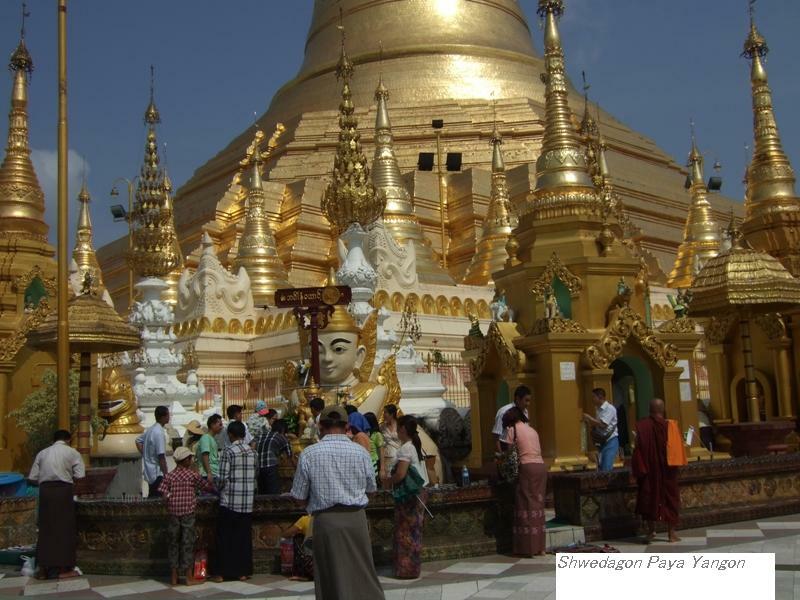 Many temples are shining with gold divinely and old monuments are standing solemnly. 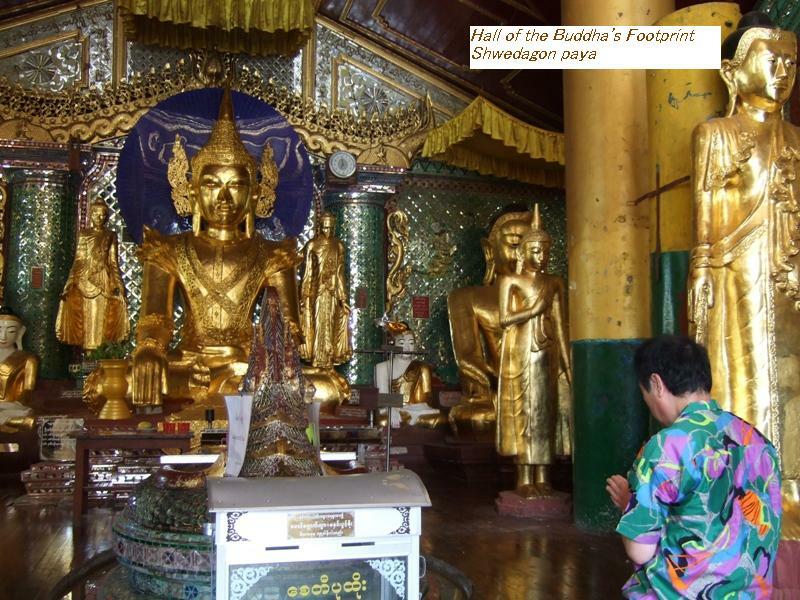 We visited many excellent temples and knelt to pray. 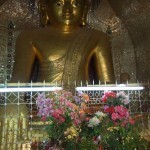 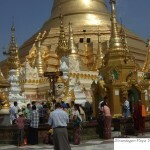 I felt “I am a pious Buddhist at just time” I have to say with confidence “Myanmar’s peoples are true pious Buddhist”. 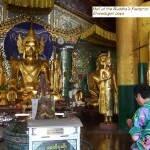 The next morning at 5:00 we visited 5 famous temples again and knelt to pray with offering. 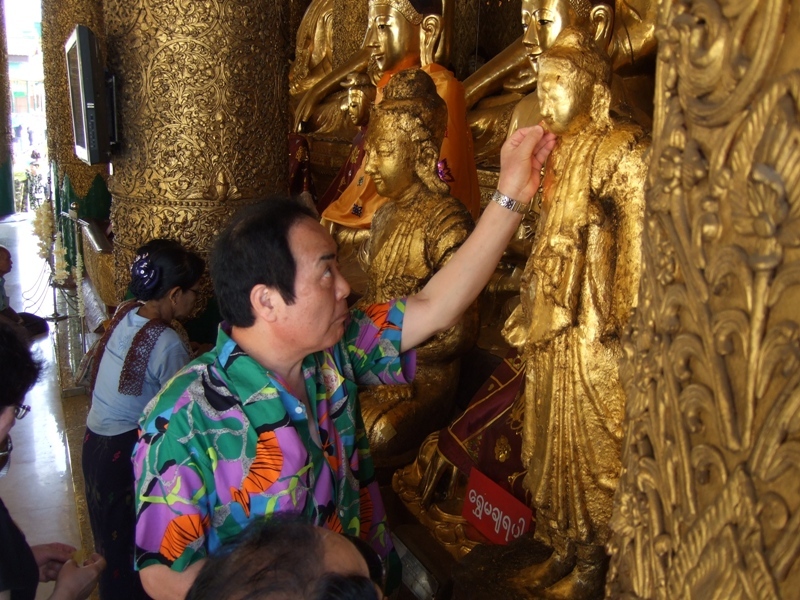 We had to pray only one wish at all temples. 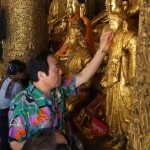 How so difficult to select one wish! 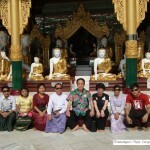 How I am a greedy people! 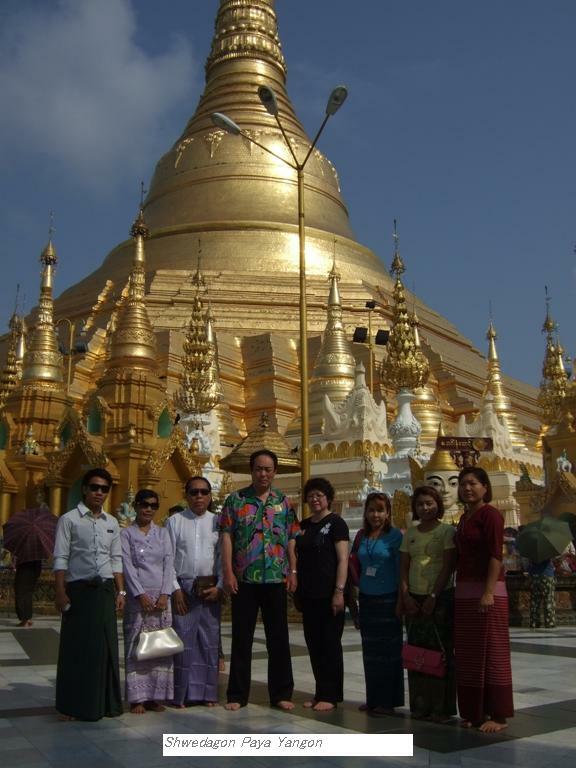 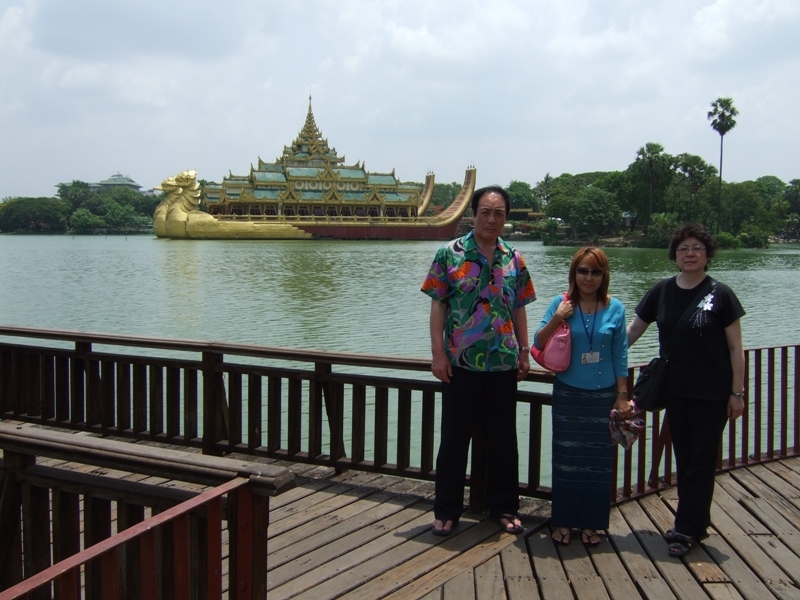 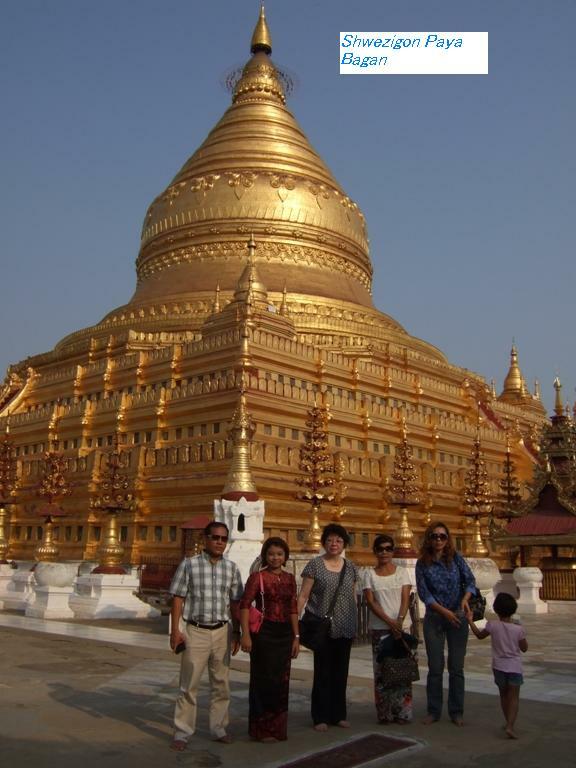 Next morning as soon as return to Yangon,we visited a most famous temple”Shwedagon Paya” in Yangon. 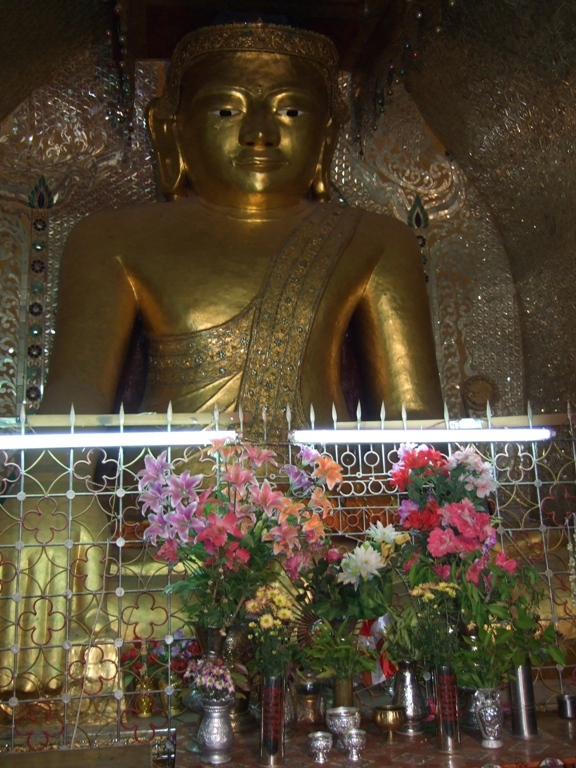 The gold’s shining is true and is divinely. 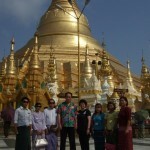 I’m sure the world will pay attention to Myanmar more and more.